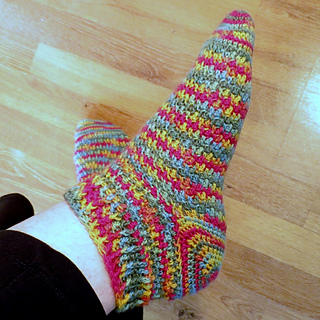 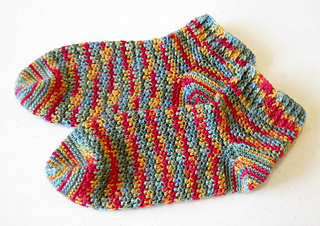 This is a pretty straight-forward sock pattern – great for dipping your toes into the sock making adventure for the first time! 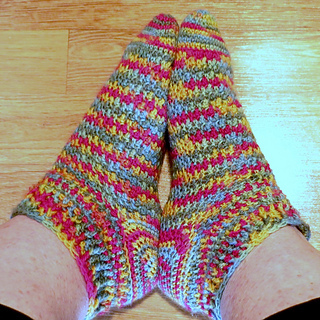 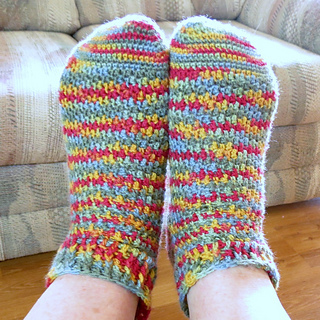 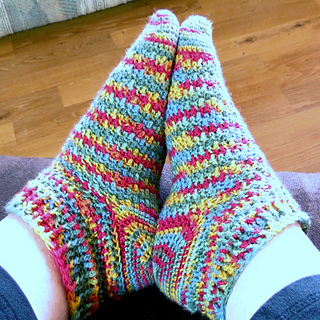 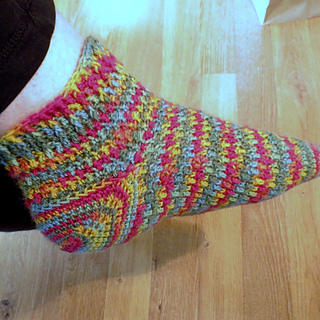 The body is made of alternating single crochet/double crochet stitches; the toes and afterthought heel from single crochet; and the cuff is made using front-post and regular double crochet or front-post/back-post double crochet ribbing. 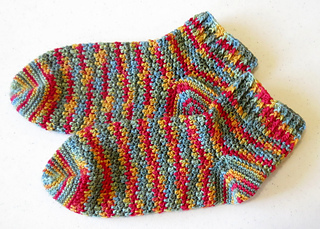 You can customize the length of the sock as well as the length of the cuff.